Accidents at construction sites are a common phenomenon, despite the many measures taken by construction companies to follow the safety norms. Many things cause accidents and injuries at construction sites such as scaffolding, welding forklifts, cranes, elevators, chemical explosions, tools equipment trucks, tripping hazards, electricity/live wires, and more. And when an accident occurs there are many factors in construction accidents and injuries that determine who is liable for the injury. Often the cases get complicated as they involve lead contractors, sub-contractors, property owners, vendors and equipment rental companies, and the manufacturer of the tool, equipment or vehicle. The victim many times becomes the prey of insurance companies, the employer, maybe even other employees, who persuade innocent victims to sign away their rights. It is important that you resist these pressures in the aftermath of your workplace accident. 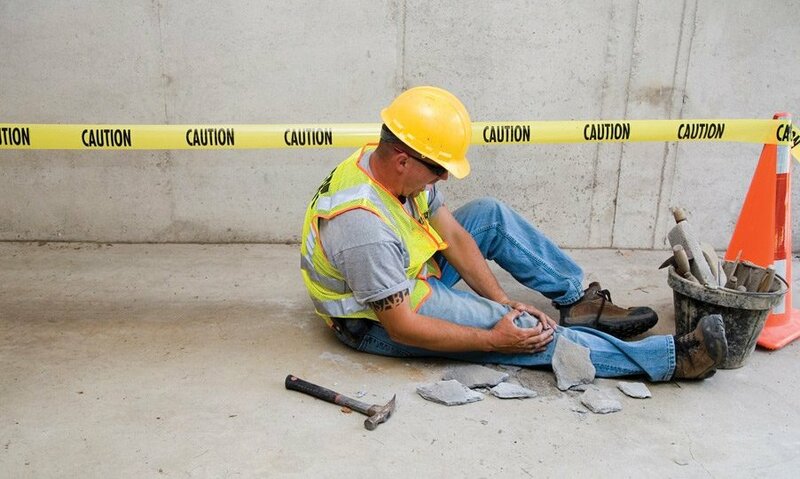 Go ahead and seek protection for your rights by speaking to a construction injury lawyer in Burton Law Group. The company serves all of Oklahoma and has offices in Oklahoma City, Walters, and Tulsa – you will be doing yourself a great service in the pursuit of justice and compensation. The first thing an injured worker should do is report the injury to the employer in writing. If medical treatment is not provided by the employer within five days, seek treatment on your own and make sure that you describe to the medical provider how you were injured. If your employer does not volunteer to give out any benefits call a construction site accidents law firm like Burton Law Group to help you obtain these benefits. Do not take it for granted that your employer or the insurance companies will look out for you and your interests. These organizations have their own priorities, and your health and well-being may not often be at the top of that list. If your employer does offer you some on-site medical care after your accident, you should accept it. However, have an independent doctor to look into your case. He will provide an independent, objective evaluation of your condition, unburdened by the concerns of a corporation. The accident will result in a lot of paperwork. Get hold of all the paperwork concerning your accident including all medical reports. This will prove useful to a construction injury lawyer seeking justice for your cause. If possible document everything that took place on site as this can offer a better understanding of the conditions under which the accident occurred. If possible, you should click photographs of the equipment that you were using (if any) and your surroundings. These would serve as visual information that you may need when you have to explain and describe your “accident” story better. More so, in cases where a legal dispute has emerged or a disagreement with your insurance company, photos can be a valuable asset for you. Your employer or an insurance company might ask for your signature to a settlement offer or some apparently benign paperwork they want you to sign. But you must involve your construction site accident lawyer before you accept any insurance settlement in a haste because the insurance settlement offered may not adequately compensate you for all of your past, current and future accident injuries. And you will find it hard to get any more money in the future once a binding settlement has been made. Call a Construction Attorney from the Burton Law Group. The company serves all of Oklahoma and has offices in Oklahoma City, Walters, and Tulsa. Their legal team has decades of experience ready to help you in your time of need. They do not promise things they cannot deliver and treat all their clients with courtesy and compassion.